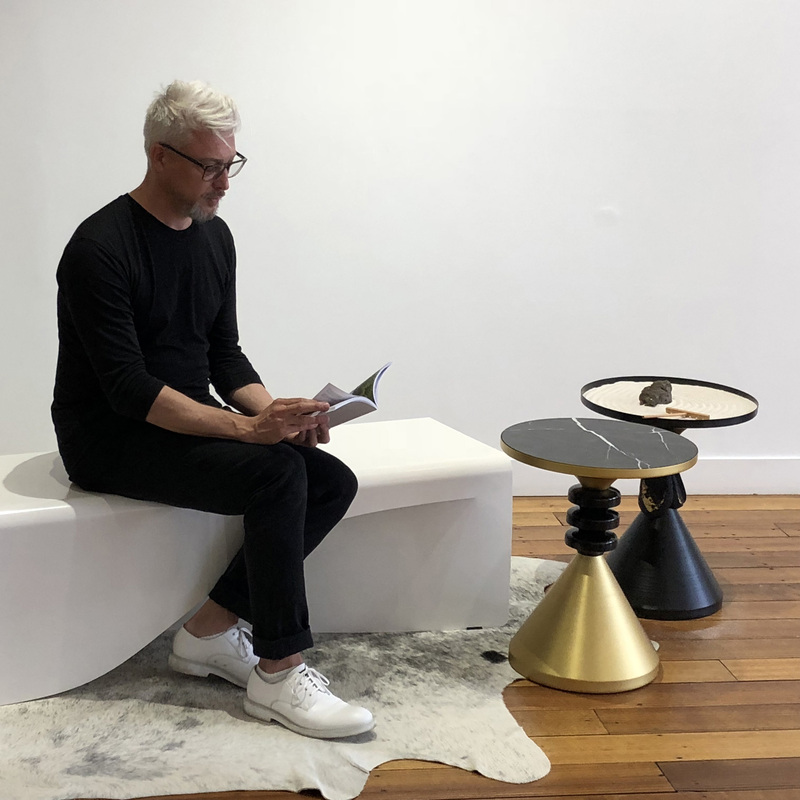 Recently at VIVID I discovered Yan Huang whom is an Australian sculptor, lighting and furniture designer of bespoke and mixed media objects that are beautiful, highly functional and collectable. 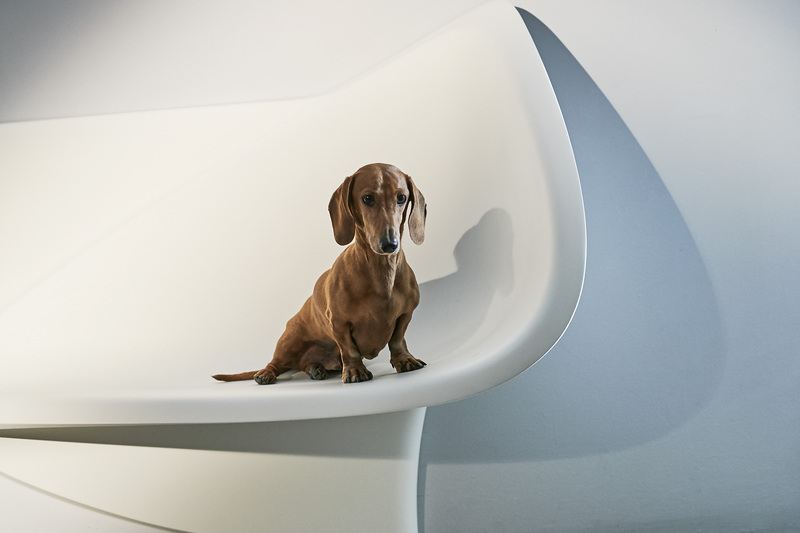 Yan is the driving force behind Yan design studio; the studio philosophy of ‘less is more, form and functions are one’ ensures a harmonious balance between concepts, aesthetics and engineering. Yan’s one-off and limited-edition pieces are managed with precision and care from concept to execution and delivery. She works autonomously, collaboratively or to a brief, as required. The studio is equipped to produce large- scale timber, fiberglass and metal objects, and maintains a collection of design objects available for purchase. 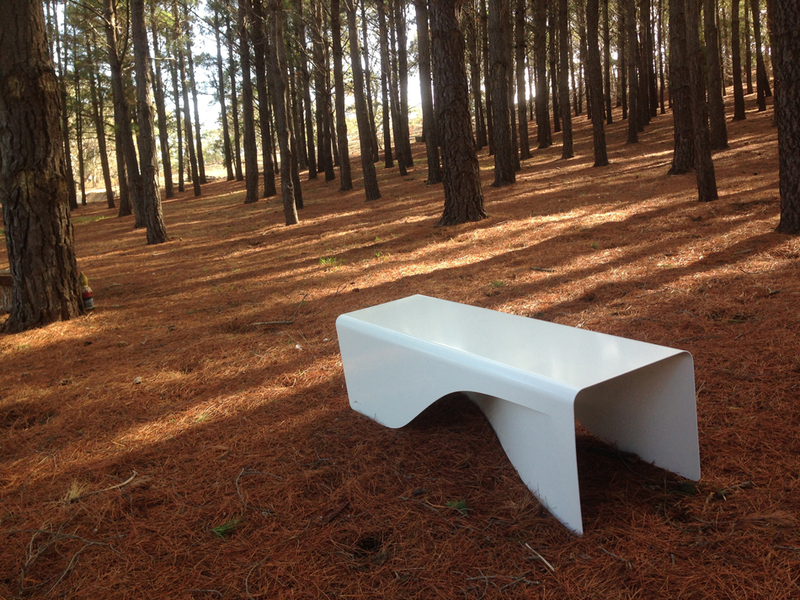 Yan has been represented in group and solo exhibitions in the USA and Australia. Her work is held in private and public collections in Shanghai, New York and Melbourne with her work recently been acquired by the National Gallery of Victoria (NGV). Embrace Chair – A pair of floating sculpture/chairs that created an intimate space for conversation and relaxation. 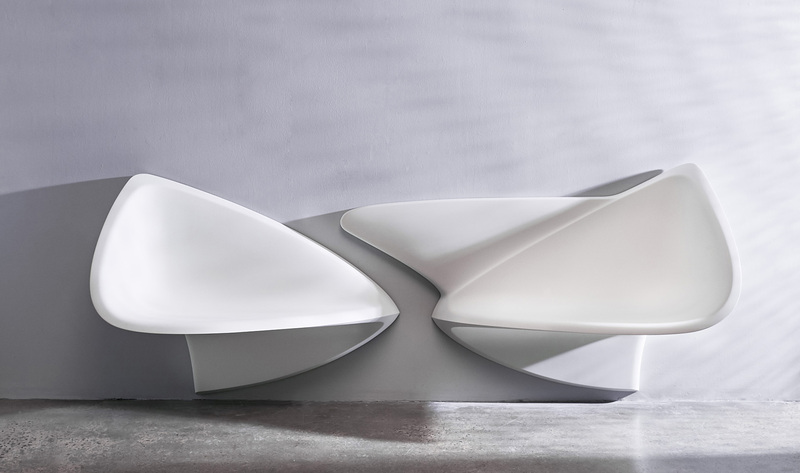 An unconventional approach to seating design, with its fluid lines and lean surface, embrace chair exploded the possibility of a chair; blurring the line between sculpture and functional object. Made from painted fiber glass body with steel structure. 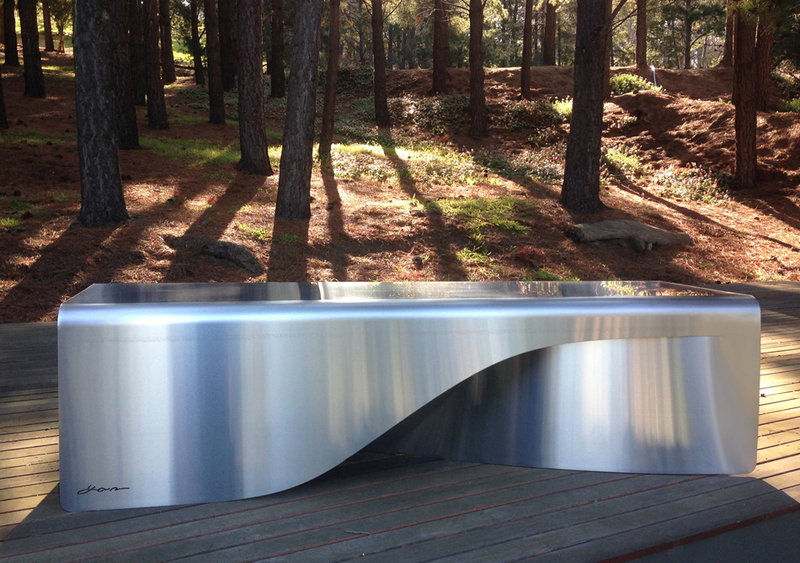 Wave Bench is a contemporary sculptured bench made from one piece of powder coated aluminum with dynamic lines. Easy to clean suits indoor or out. 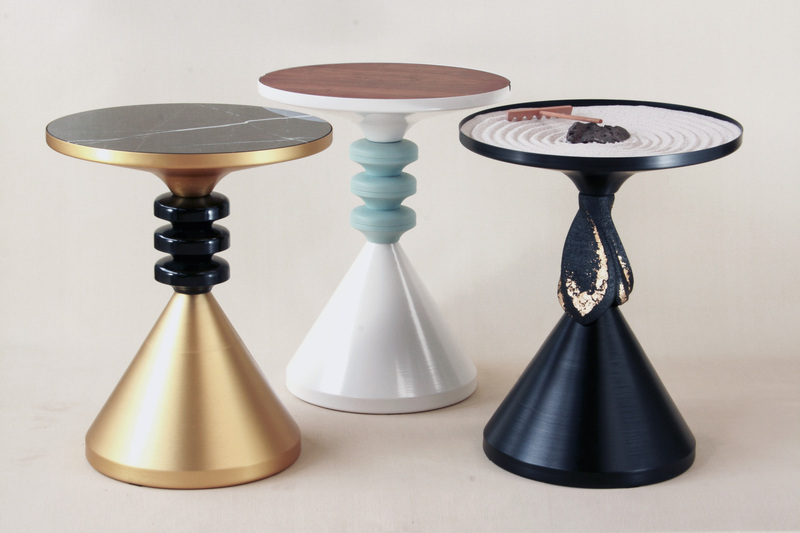 T-collection table is a collection of beautifully crafted side-tables, designed and made in Melbourne. They are ideal for small and large scale contemporary urban spaces and offer a truly unique, artisanal experience. The side-tables are an adaptable design, which can be converted to bonsai trays and planter boxes. It comes with marble or timber tops. There are 2 designs available on the connection pieces, painted and can be finished with gold leafing. The High of the table is customizable, with the reduced number of connection pieces. The colors and materials used in T create a luxuriously subtle, shifting luminosity and add texture to a room. The beautiful pattern in marble, ensuring each is unique. The solid American cherry option is rich and warm. 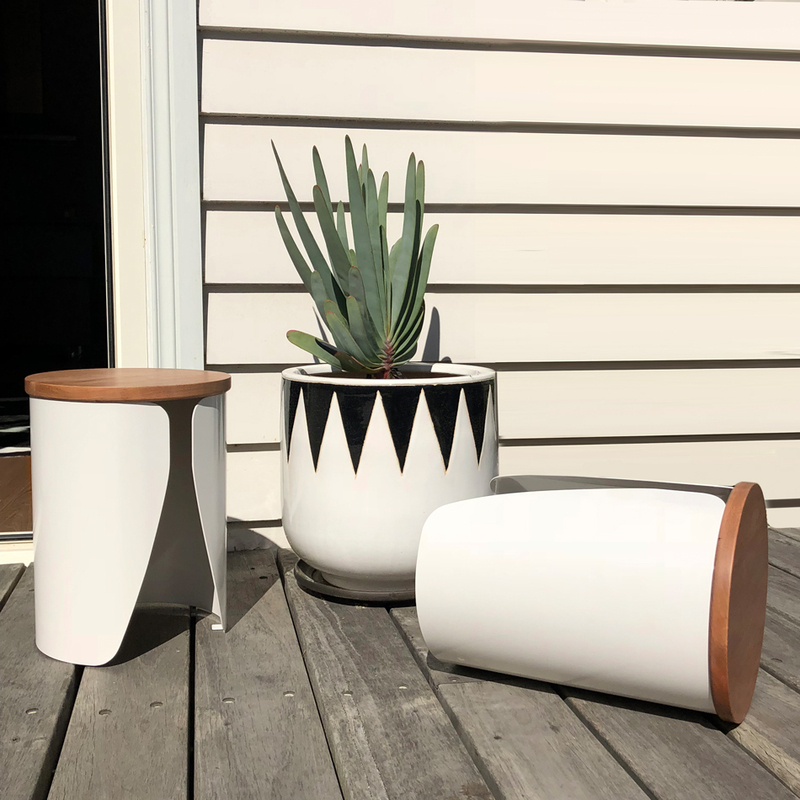 The WRAP stool which is a fun, stylish and unique approach to a stool design. Single piece steel rolled, powder coated and attached to a American cherry timber with natural oil finish.